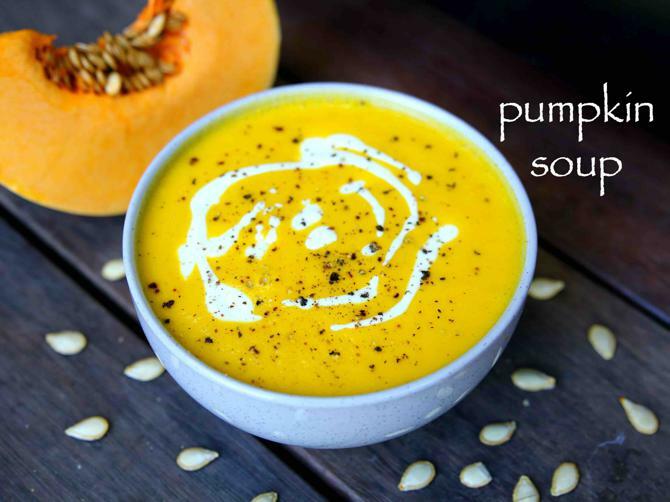 pumpkin soup recipe | how to prepare easy creamy pumpkin soup with detailed photo and video recipe. 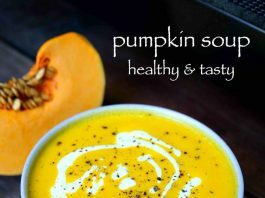 perhaps one of the healthy, easy and most popular soup recipes prepared within minutes with roasted pumpkins. 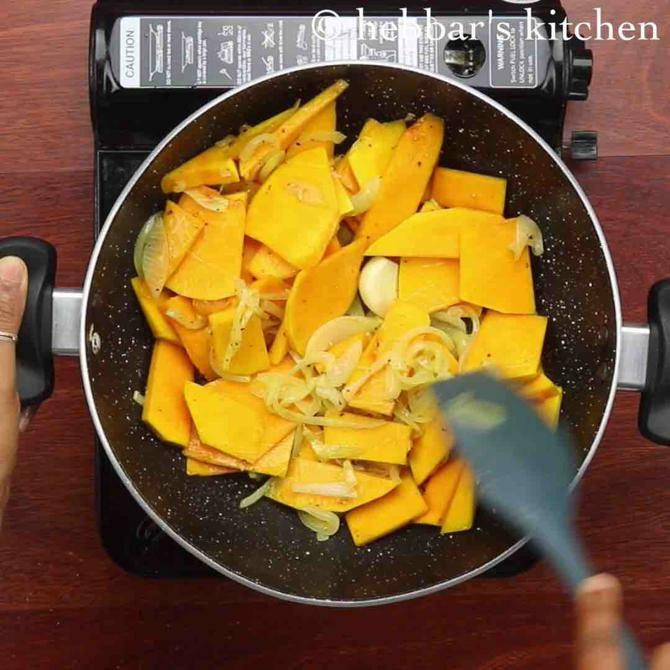 it is basically prepared with just three main ingredients including the juicy pumpkin, garlic and fried onions. it is perfect staple food for the upcoming winter season. 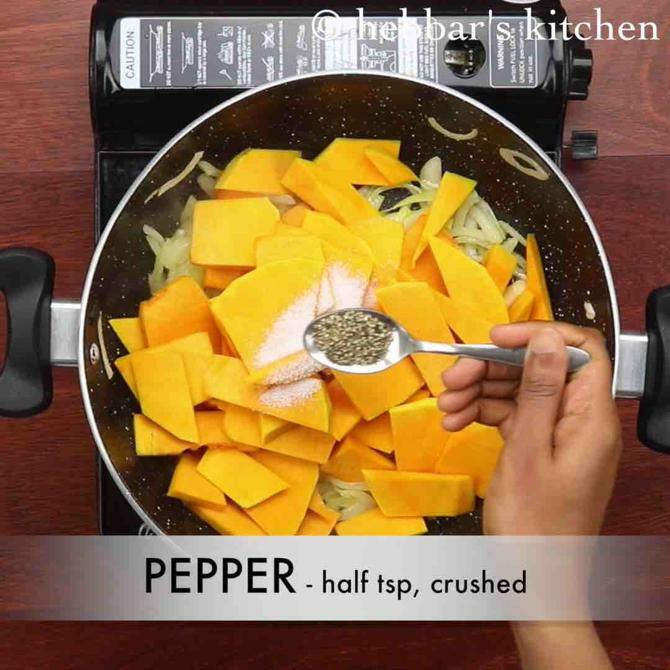 pumpkin soup recipe | how to prepare easy creamy pumpkin soup with step by step photo and video recipe. the recipe is very simple and is prepared by roasting the pumpkin and some onions. it is followed by grounding the roasted veggies into thick batter. later it is topped with fresh cream and served. soups are generally served as appetizer and most commonly it is served with garlic bread or plain roasted bread. this combination is sometimes even termed as complete meal altogether. but for me pumpkin soup with garlic bread has always been a complete meal and i prepare it whenever i feel to have something lite. moreover i have almost 7-8 months of winter in my place and hence typically prepare hot soup beverages as part of my meal. i even extend the same recipe by adding other veggies like carrots, peas and even red capsicum. adding these makes it even more healthy and more filling and can be a complete meal. 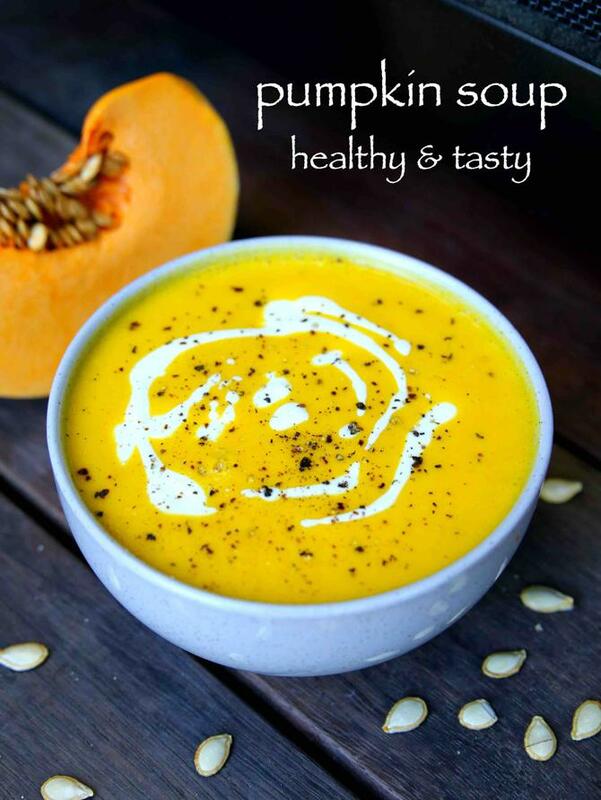 some easy and important tips and recommendations for a perfect and creamy pumpkin soup recipe. firstly, instead of cream you can use milk or yogurt if you want to cut down calories. 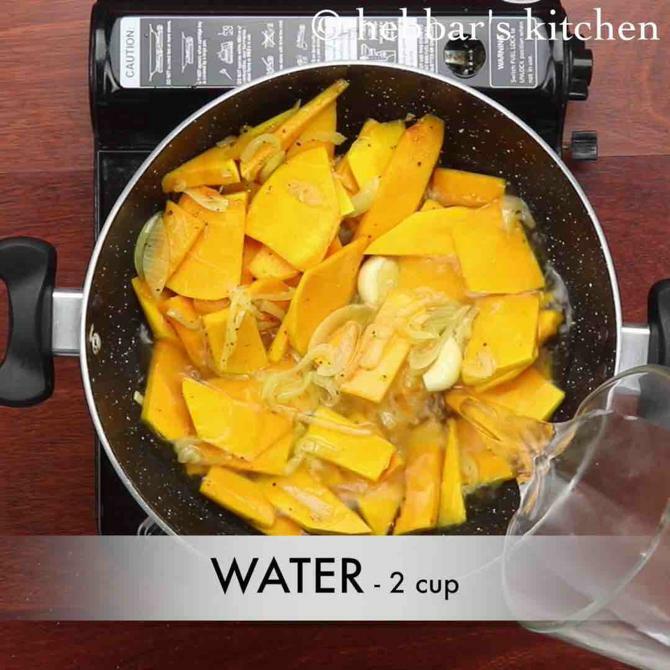 also roast the pumpkin and onions slightly before adding water to enhance the flavours. finally, add herbs of your choice like parsley or rosemary to take creamy pumpkin soup to another dimension. firstly, in a large kadai heat 2 tbsp olive oil. 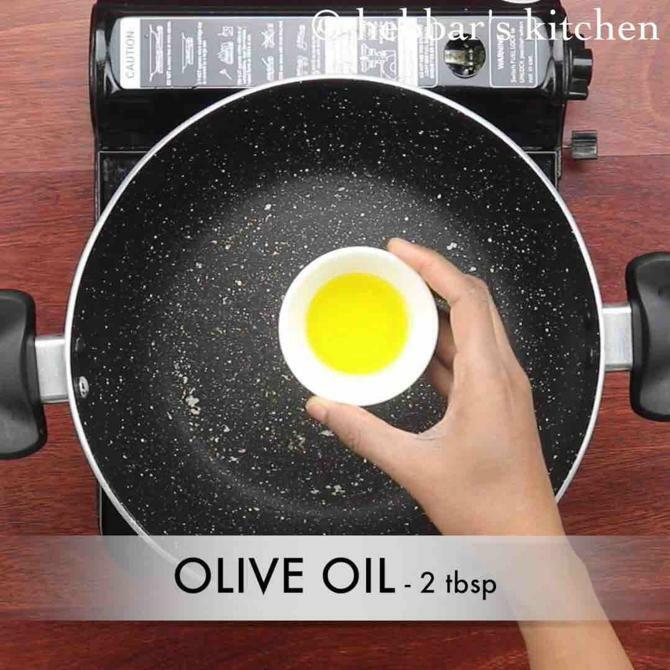 alternatively use any neutral flavoured oil or butter. 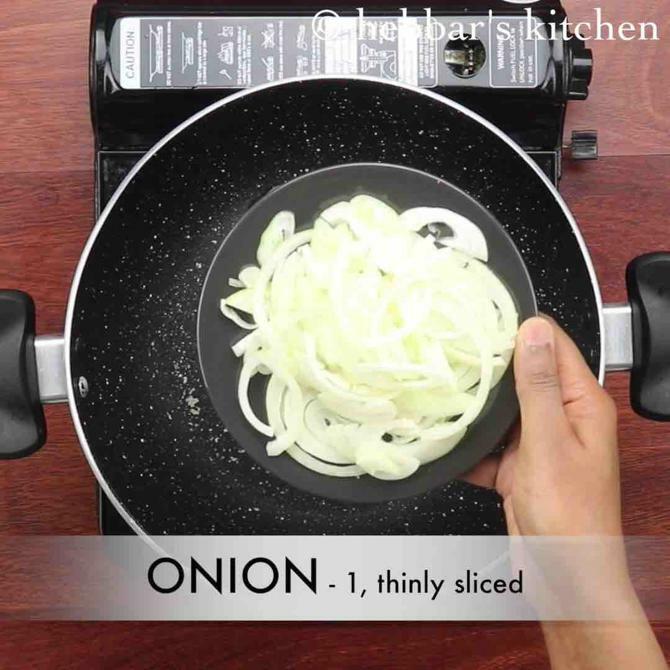 further saute 1 thinly sliced onions till it shrinks. 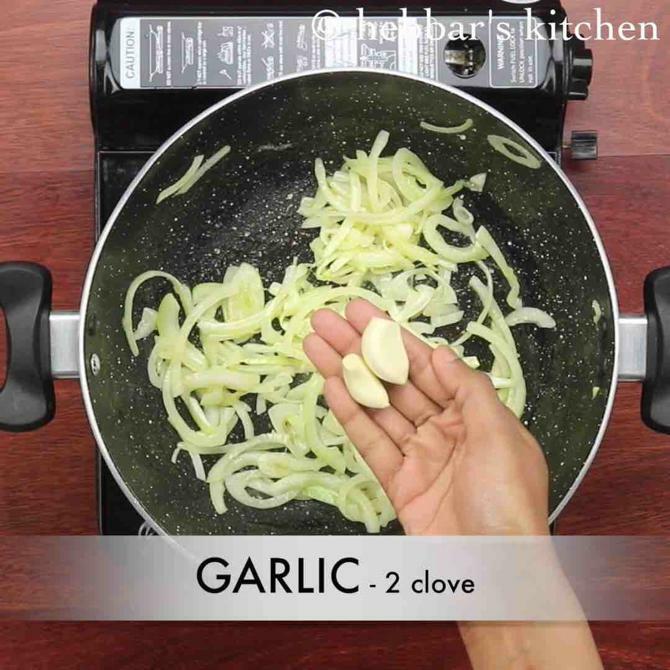 also saute 2 clove garlic. 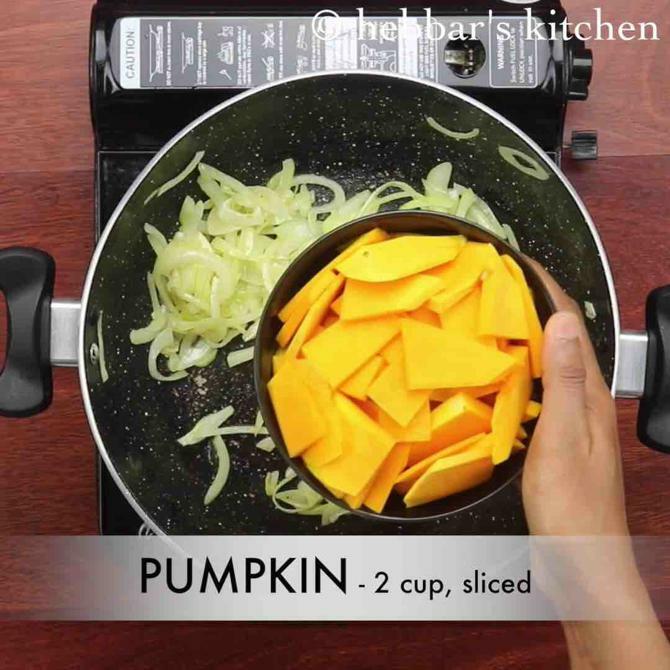 now add 2 cup (400gm) sliced pumpkin. use any pumpkin of your choice. also add ½ tsp salt and ½ tsp pepper. saute for a minute or 2 till it changes colour slightly. furthermore add 2 cup water and mix well. cover and boil for 15 minutes on medium flame. 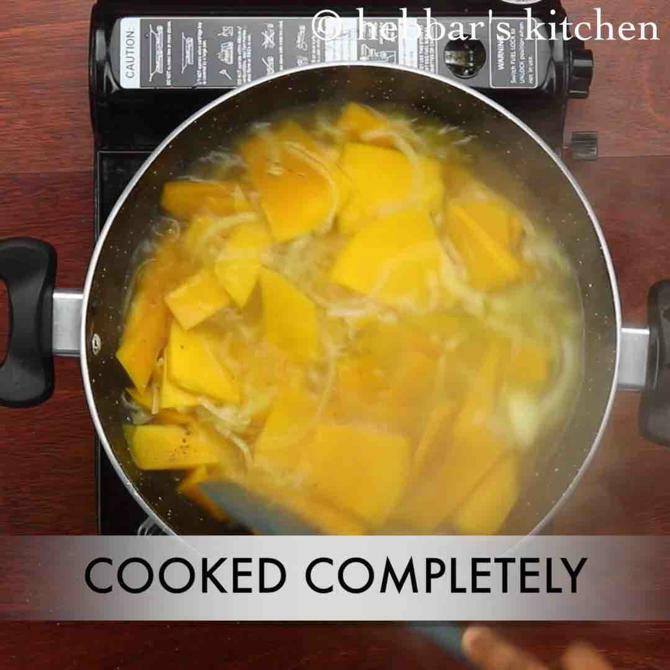 cook the pumpkin well and allow to cool lightly. 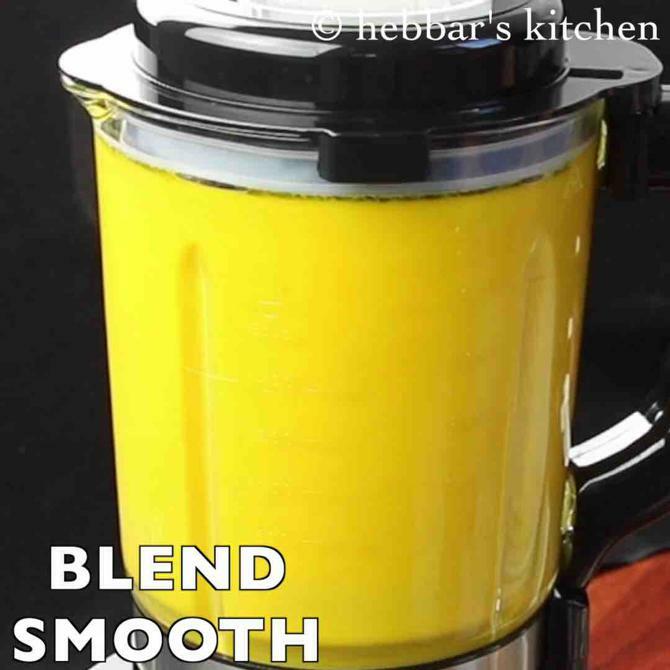 transfer to the blender and blend to smooth paste. 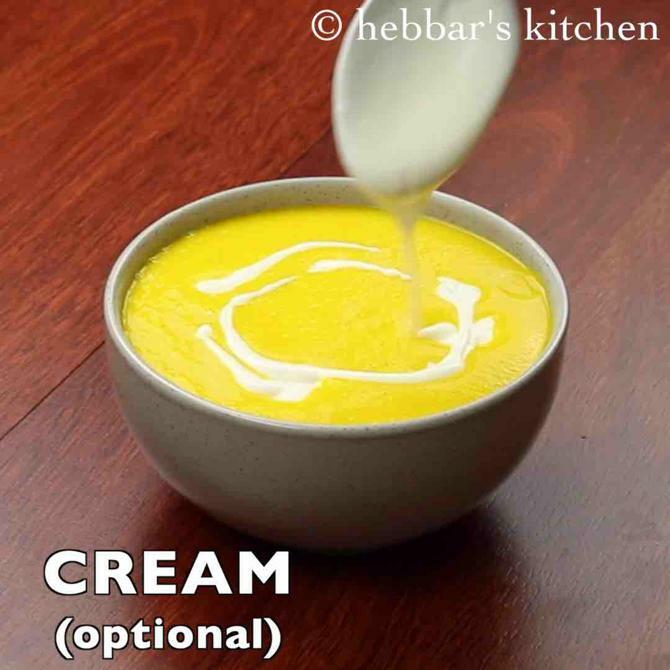 pour the prepared pumpkin soup into bowl and garnish with a tbsp of cream. alternatively use greek yogurt if you are diet conscious. finally, serve pumpkin soup sprinkled with black pepper or store in refrigerator for a week and enjoy when required. firstly, if you have oven, then roast pumpkin, onion and garlic in oven for 30 minutes at 180 degree celsius. this helps to get roasted flavour in soup. also add parsley, basil or rosemary for more flavours. additionally, adding cream is optional, use greek yogurt if you are diet conscious. finally, pumpkin soup can be extended by adding potato and carrot while boiling. 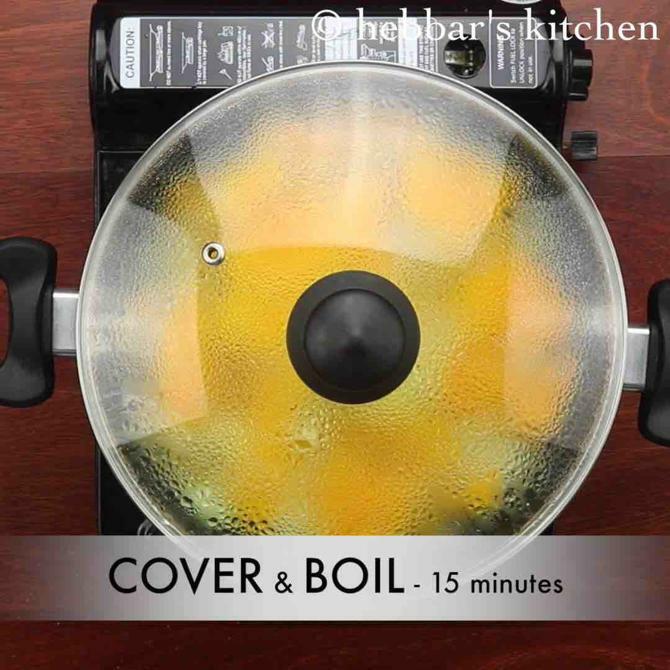 you can skip the boiling part and blend.. however get to a boil once blended..
Beautiful ! Loved the taste !